Growing interest in universal preschool education has prompted researchers to examine the potential costs and benefits of making high-quality preschool available for all children. This study presents estimates, at a disaggregated geographic level, of the potential benefits from a high-quality, one-year, universal preschool program in California. Building on the methodology employed by the author in an earlier RAND study, estimates are generated for the 13 largest California counties and for five county groups, which together represent 96 percent of the projected California population of 4-year-olds over the next decade. The analysis focuses on a series of nine outcomes specific to educational processes and attainment, child maltreatment, and juvenile crime. 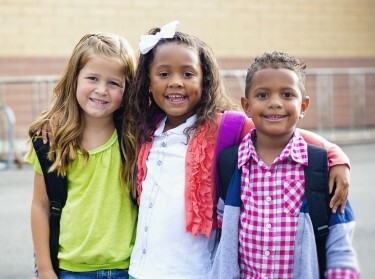 The effect of a universal preschool program for each annual cohort of 4-year-olds served by such a program is estimated for each outcome and geographic unit. Where possible, the baseline level of the outcome in the absence of a universal preschool program is also estimated, enabling the absolute changes to be measured in percentage terms. Because there are a number of uncertainties associated with the estimates, they are not intended to capture the exact effects of a particular program. Rather, they provide a gauge for the size of the effects and how they might differ across different geographic units in the state. These effects are of interest in their own right, and they are also associated with significant dollar benefits for a variety of stakeholders — benefits estimated to exceed the cost of providing a high-quality, universal preschool program. The research described in this report was sponsored by The David and Lucile Packard Foundation and was conducted by RAND Labor and Population. Karoly, Lynn A., County-Level Estimates of the Effects of a Universal Preschool Program in California. Santa Monica, CA: RAND Corporation, 2005. https://www.rand.org/pubs/technical_reports/TR340.html.